This week’s newsletter features a historic moment for our platform – thanks to a new micro sensor, the first computer embedded with Leap Motion technology will soon be available. We also have some insights on menu design and usability on Developer Labs. 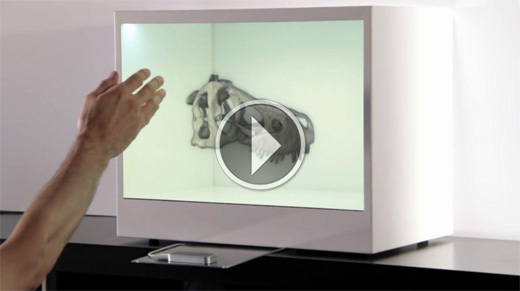 In community news, we have several great videos to share – including a one-man orchestra, a virtual dinosaur skull, and a surgical simulator. 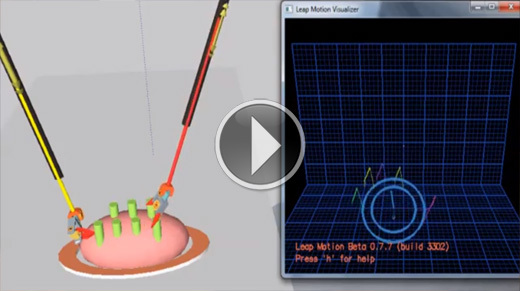 Earlier today, indie game developer Flow Studio announced $250,000 in seed funding to create new Leap Motion apps. The fund will allow the creators of the hit Airspace titles Sortee and Midnight to experiment with new ways of interacting with the Leap Motion Controller. As always, if you want to build a disruptive business around the Leap Motion Controller, you can apply for an investment from the HCP Leap Fund. tylerz updated his open-source toolkit OpenLeapKit with a new right/left hand detection mechanism. Desktop Leapr, hsocasnavarro’s experimental desktop control app for Linux, is now available for download on GitHub. Using GecoMIDI and a keyboard, Israeli musician Hagai Davidoff shows how to replicate the sound of an entire orchestra using only two hands. 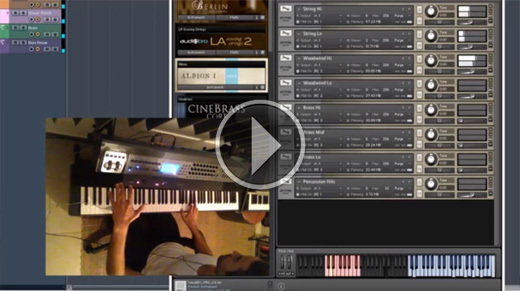 By mapping different instrumental sections to the Leap Motion Controller, and playing chords on his keyboard, he can perform live what usually takes hours. 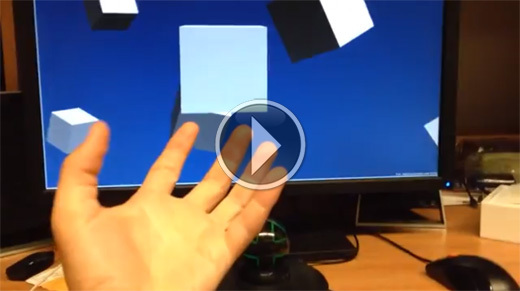 M1 Interactive posted a demo of the Leap Motion Controller with a transparent LCD display. The screen displays a realistic Tarbosaurus skull, which can be rotated and viewed through hand movements. John Selstad created a preview of touchable holography that would use the Leap Motion Controller and a cave automatic virtual environment (CAVE) to create a uniquely immersive experience. Sriranjan Rasakatla developed a surgical trainer demo that uses virtual robotic arms controlled by hand movements.